Yes, I'm still working on a suitable hashtag as nobody can spell #Dawocalypse after a few pints. Only 2 days until my badass crazy craft wanker city of ale pub crawl in Norwich and I keep getting even more excited by the minute! I originally put up set times, but it is a matter of when people are arriving. The general gist is that people will arrive between 12 & 2pm, which is all good. I figure exact timings always mess up but you'll be able to text me (ask for my number) or follow the crawl on twitter but I thought I'd post the list of pubs again just as a reminder. Compleat Angler (Start) - Think Ben said he's gonna try to have Punk on keg, but there are always plenty of local real ales if you're bored of Punk. Norwich Taphouse - 20 kegs. Usually 5 from Redwell. Recently we've also seen Anarchy, Beavertown, Celt Experience, Bruges Zot & Paulaner Munchen Dunkel. Rumsey Wells - Adnams and guests on cask, Lagunitas IPA on keg (potentially missing this one out depending on time. Lag is probably the best thing about it but anyone can get that now). The Plough - Home of Grain Brewery. If you don't know them already, you'll love them by the time we leave. The Reindeer - Decent kegs like Jaipur and hopefully High Wire. Decent casks too. (This may be a replacement for Rumsey). White Lion - Milton Brewery pub. Always good beer and a good atmosphere. Bar billiards too. Plasterers - Best pub in Norwich in my opinion. They're doing a fined Vs unfined beer tasting (unfined cask of Oakham Citra OMGZZZZZ). Also, Ben has let me choose a cask from a list that my buddy Yvan of Jolly Good Beer is distributing at the moment... as long as it's ready in time, we should have Moor Nor'Hop on cask. Another of my favourite British beers. King's Head - Only cask beer here, mostly local. Great atmosphere. Proper old school! Then those of us are still standing will be drinking elsewhere. We may go to the new Bierhaus for some Steins of German beer to finish the night! Anyway, it's gonna be a good day out! You're not required to join in with us in all pubs. Just rock up and have a beer or 7! If you need my number for Saturday, let me know! Last Thursday I was invited to attend the invite only launch party of City of Ale at Dragon Hall in Norwich, along with many of Norwich’s finest publicans and brewers. Arriving soon after opening at 6:30pm, I was greeted outside by Tim & Katie from The Jubliee with whom I shared a smoke and a chat before heading inside. Once inside I saw many recognisable faces, and got chatting to Moses from Fakir Brewery. Due to chatting, I had no beer at this point and heard Sadie summon me over saying “Nate, you can’t stand there without a beer!” and she had a point! Firstly I must note that all of the beers on the night were served bright, as they only had an hour set up so there was no time for secondary fermentation in the cask at the venue. Most were polypins (bag in a box) so it wasn’t too bad, although I do think that because it was bright beer, none of it was as good as it should have and could have been. My first beer of the evening was Woodfordes Craft Lager (4.1%) and it wasn’t good. It was more than a little sweet, and I’m not sure it had been lagered for long enough. Or at all. Also, why is their lager classed as ‘craft’ when Wherry isn’t? I next went for S&P Brewery Nasha IPA (5%). This poured a nice amber colour and was bursting with hops, yet there was a nice caramel backbone to hold it all together and tone down the bitterness. It was delicious! We then had the speeches by Dawn Leeder, The Lord Mayor & The Sheriff of Norwich, which were great as always but I think everyone was getting impatient as they were hungry and the food wasn’t allowed to be served until after that! I decided to go for a pint of what was labelled Redwell Pale Ale (4%) only to take a sniff, and a mouthful to discover that it was actually their 6% IPA! As much as I like their pale ale, it was definitely a pleasant surprise to get their IPA. Redwell IPA is one of the best beers in Norfolk, by far, and it paired brilliantly with Brays Cottage Wild Garlic Pork Pies. I then discovered the hog roast, just after I got a pint of Norfolk Brewhouse Tidal Gold IPA (5%). This brought mounds and mounds of tropical fruits, with a hell load of bitterness and a wafer thin biscuit base. It was absolutely brilliant and probably my beer of the night! I needed a serious food injection at this point so I put my dislike of morris dancing aside and braved the bells to go outside and grab a hog roast. Deliciously fatty & salty pork, aromatic stuffing and bittersweet apple sauce went so well with the Tidal Gold I was drinking at the time. I then decided to finally fight my way over to where Lacons Brewery the launch night sponsors were, to catch up with their brewer, my buddy Wil Wood who needs no introduction! He invited me to pour a pint of their Heritage Series Pale Ale which was brilliant (I got to sample it at the brewery on Saturday too), but a more detailed analysis will come in another blog! After tapping notes into my phone, I decided to stop being so anti-social, have some more beers and chat to more people. It was a really good night as I got to catch up with some really cool people as well as put some names to twitter profiles, and drink some delicious beers. Many thanks to Dawn for inviting me, and for everyone involved in City of Ale! I took photos but my phone didn’t seem to save them, which is annoying. In the USA, beer weeks are a big thing. 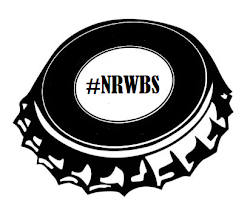 From San Francisco, to Seattle, to Philadelphia; almost every major city, and even smaller towns, have a beer week. The idea is that bars and breweries come together to host events that promote the beer of that city, or rather the state within it. It’s a really cool idea, and something that was missing from the UK. Until 2011, that is, when Dawn Leeder and Phil Cutter launched the first City of Ale, a celebration of the fine ales and pubs of Norwich and its surrounding areas. City of Ale 2014 will be the fourth, and it runs from 22nd May until 1st June. It’s not like a conventional beer festival whereby it’s in one building; City of Ale is spread out across 44 pubs in Norwich which is absolutely staggering. Throughout the week that it’s on, you will find many different events such as beer tastings, food & beer pairings, meet the brewers, quizzes and we’re even hosting a special edition of Norwich Bottle Share featuring local beers. In addition to all of this, The Plasterer’s are hosting the first ever FEM.ALE festival which is all about celebrating the misrepresented women in the beer industry! Between 23-25th May, their pumps will be dedicated to beers brewed by women, featuring a beer brewed by Belinda at Adnams specifically for the event, using brand new Mandarina Hops, as well as other events! I’ve attended many events during City of Ale, over the last 3 years and it's always very good fun! What I really love is taking friends from outside of Norwich around my favourite pubs in my wonderfully beery city, which is exactly what I’m doing again this year on Saturday 31st May! Norwich is an awesome city, filled with wonderful pubs, architecture and beers and I'd highly recommend coming here, especially for City of Ale! 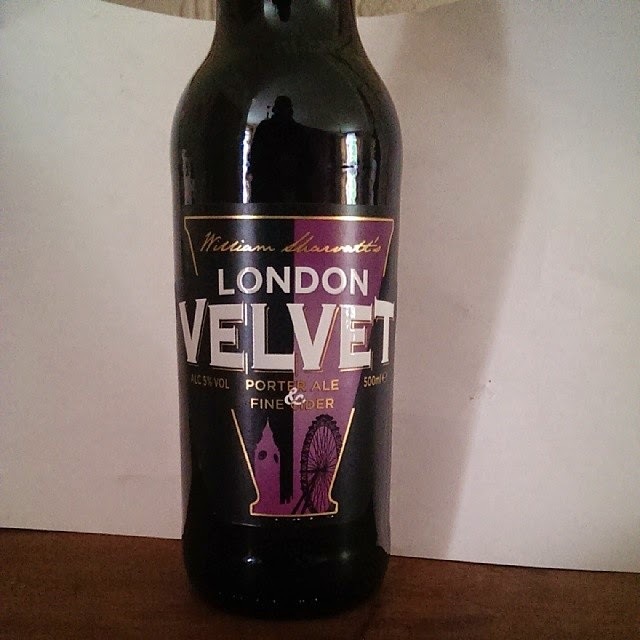 William Sharvatt’s London Velvet is described as “a delicious blend of porter ale and cider”. I imagine that if most of my fellow beer bloggers or generic craft wankers were to read that in an email, they’d probably not even bother reading the rest. They’d rage at the fact that their beloved ale is getting ruined by apples. They’d cry out “HAHAHA THAT’S DISGUSTING” without even bothering to try the beverage whilst also maintaining how cool beer cocktails are. I read on for a couple of reasons. Firstly, it was nostalgia. When I was younger, a good friend and I used to mix Strongbow with Mackeson Stout as my dad told us that they used to mix cider and Guinnness when they were younger, it’s like a poor man’s black velvet (a black velvet being champagne and stout). I remember enjoying it, although I figured that could have been the stupidity of youth and/or undeveloped tastebuds. Secondly, y’all know me; I’m not scared to tackle the review of a slightly odd (and not always delicious) beer. So on I went to reply to the lovely Sartika at Onechocolate Communications – who, may I add, is wonderful as she’s one of the few PR professionals who bothered to read my blog before contacting me– to say “Yes please, I would love to try this”. The next week, I received a box of 12 x500ml bottles in the post which was awfully generous (and allowed me to *hic* sample properly *hic*). So what is William Sharvatt’s London Velvet like? It pours as black as the nice with a thick and creamy tan head, that reminds you of a well poured porter. When you stick your nose in the glass, I found that it starts with the lovely roasty and chocolate aromas of a porter and leads into the prickly dryness of a crisp apple cider. Upon taking a sip, the sweetness of the cider dominates before going into the coffee and chocolate of a porter and I find myself surprised at how well balanced it is. The mouthfeel is an interesting one as it has the thickness of a stout or porter, but the carbonation of a cider. Overall: I’m actually a big fan, which surprised me. Despite my love of cheap stout and even cheaper cider mixes when I was younger, I was expecting to hate it but I really didn’t. Alright, it may be a bit sweet for me to drink more than two bottles in a sitting but it’s actually a really well balanced, slightly odd beverage and something I’d purchase if I saw it. Especially if I come across it on keg. It’s available on keg in various pubs (presumably mostly around London) as well as 500ml bottles in 50 Tesco stores across the south west of England and maybe even your local independent ale supplier. Many thanks again to Sartika for sending me some of this to sample and write about!